The Dali Smart Link Weather Station Driver (DSL-Weather) allows a Jace or AX supervisor to connect via a serial RS232 port directly to a Davis Pro2 Weather Station. 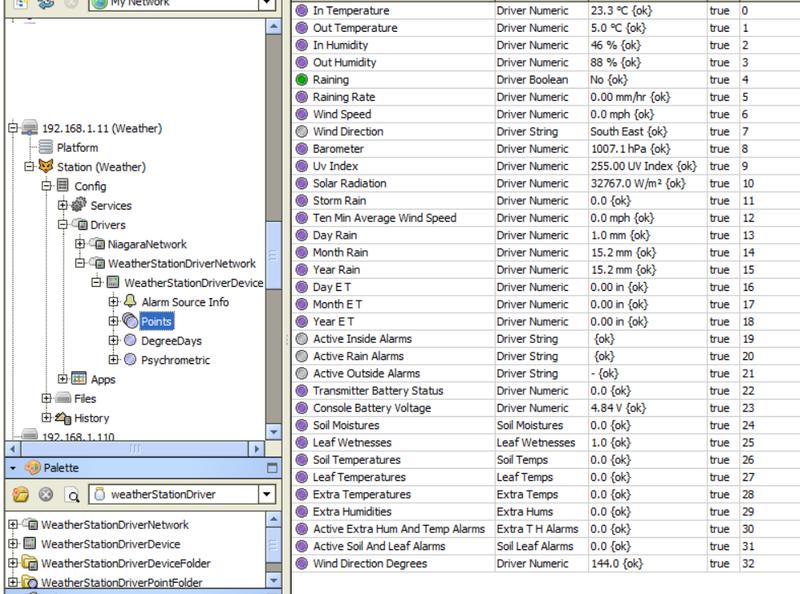 Once the driver is installed onto a Jace and the license is installed just simply plug in the Weather station console into the Jace and all the values will be available. 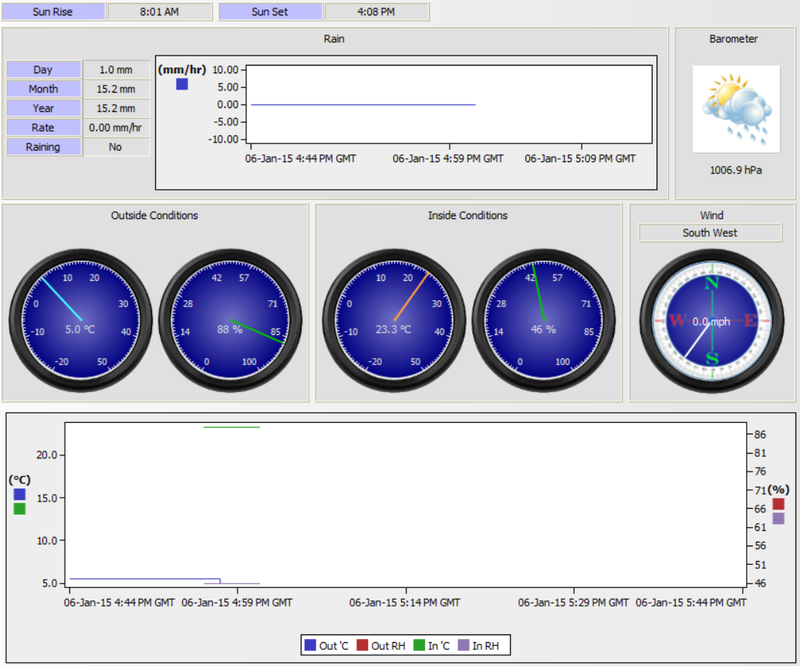 This is the easiest and cheapest method of getting the local weather data into a BMS system. Below is the list of available points. Please note some points are optional on the weather station and will require additional modules added to the Davis Pro 2 weather station but do not require any additional license on the Jace as all points are already mapped if they exist on the weather station.